The PA Foundation is composed of both monetary efforts and/or supplies donated to a collective foundation for purpose of contributing to a charitable cause. This past year a very special member of the Produce Alliance community passed away. 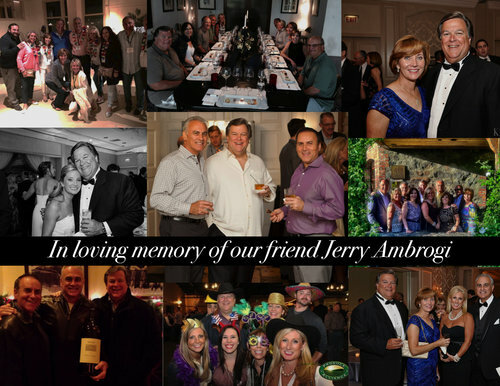 On March 15, 2017 the First Annual Jerry Ambrogi Charity Dinner was held at the Produce Alliance National Conference in order to take the time to remember and celebrate the incredible man he was. Those that spent time speaking to Jerry, learned about his knowledge of produce, love for football, and tremendous heart. It was not until after his passing that we learned of the great impact that he made on his community and his philanthropic efforts. Whether it was as a 4-time coach for the DFRC Blue-Gold All Star Football Game, 6 years as the game’s athletics chairperson, or 10 years as the game’s senior advisor, Jerry’s unwavering passion for the program’s beneficiaries was an inspiration to all. As a result of his endless commitment to the cause, Jerry was selected by his coaching peers as head coach of DFRC’s 50th anniversary game in 2005. As a senior advisor to DFRC, Jerry continually offered valuable advice and guidance. He was a strong advocate of our Hand-In-Hand program, which matches game participants with children and young adults who have an intellectual disability, and supported that love very generously as a major donor throughout his 20 years with DFRC. As many already know, Jerry had a smile that lit every room he entered, and that sparkle was second only to his enormous heart, which he shared freely and unconditionally. The DFRC family lost one of our dearest and best friends when Jerry passed. His life touched literally thousands of people, young and old, and his legacy will live on in the hearts of all who knew and loved him. In the philanthropic spirit that Jerry lived by, we at Produce Alliance would like to honor all the efforts and causes each one of you do for your communities. Hosted the first annual Jerry Ambrogi Charity Dinner during the 2017 Produce Alliance National Conference. This event honored the life and legacy of Jerry Ambrogi, one of the original members of Produce Alliance, who lost his battle with cancer last year. Jerry was a longtime supporter of the Delaware Foundation Reaching Citizens, an organization focused on fundraising and providing support in the community for local citizens with intellectual disabilities. The DFRC was the honorary recipient of the 2017 charitable support generated by this Dinner with about $50,000 raised for the organization to continue Jerry’s legacy. PA employees and friends joined Team PA to climb 81 flights of stairs to raise money for the annual Step Up for Kids challenge in support of patients and families at Ann & Robert H. Lurie Children’s Hospital of Chicago. Team PA also volunteered to help organize and run the event. PA empMembers of PA donated time to their community churches, schools, non-profits, youth organizations, and other local groups. For example, Vince, Dale, and Cory out of Salinas coached a local youth baseball team in the area. PA PA hosted Lisa Helfman, co-founder and representative of Brighter Bites, a philanthropic organization focused on getting fresh produce and nutrition education into the hands and minds of children and their families. Ms. Helfman was PA’s honored guest at the 2017 PA PMA Cocktail Reception, and inspired other guests with her presentation regarding the value of service in all communities. PA continues to support Brighter Bites in its mission to create communities of health through fresh foods. 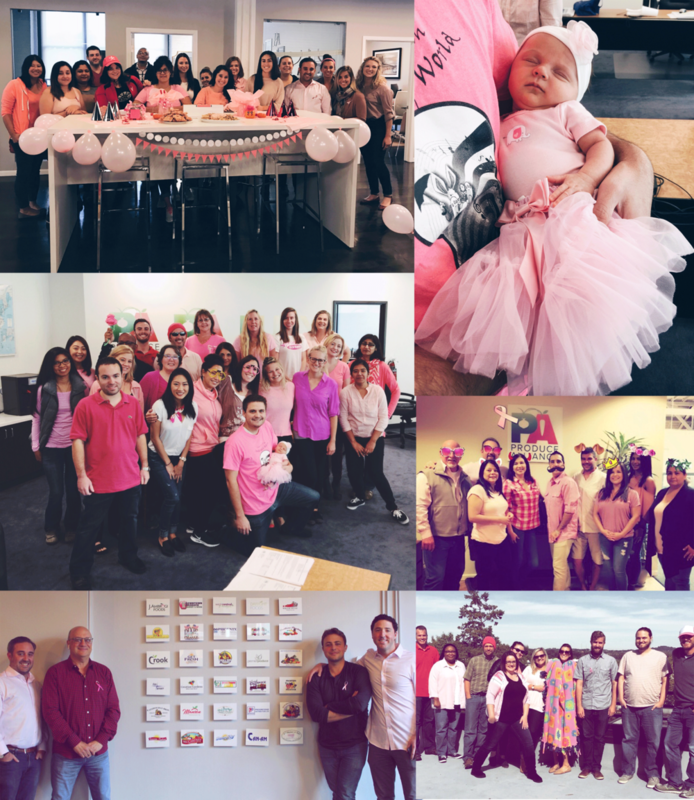 PA offices participated in a “pink out,” wearing pink and giving and collecting donations which were provided to the Breast Cancer Research Foundation to support Breast Cancer Awareness Month. Members of the Buffalo Grove and Chicago PA offices gave their time to helping the Greater Chicago Food Depository repack produce and other foods to create meals. PA’s assistance helped get over 10,000 meals to the Cook County community. In PA rallied its grower, packers, and shippers to help deliver fresh produce, water and other supplies to the brave men and women fighting around the clock against the Southern California wildfires. We cannot wait to see what 2019 has in store for our community and we look forward to giving back and hearing of your amazing efforts all year long! For the twenty-first consecutive year, our Produce Alliance team of climbers and volunteers made it to the top of the Aon Center, participating in the Step Up for Kids challenge for Ann & Robert H. Lurie Children's Hospital of Chicago. Our very first year participating in this incredible cause, we raised 15K. This year, we were fortunate enough to raise over 35K for the deserving patients and families of Lurie Children’s, and also displayed one of our largest teams of climbers and volunteers to date! We are also so grateful for the opportunity to be the sole provider of healthy and fresh post-climb produce snacks for Step Up participants. Here are some special moments from the 2018 Step Up for Kids challenge! Cooking is a great way to express your creativity," says Chauncy Hood, a high school senior with a passion for cooking and dreams of opening his own fine dining restaurant. Those dreams helped Chauncy stay focused during the three months he spent in Lurie Children's Regenstein Cardiac Care Unit (CCU) waiting for a donor heart to become available. Finally in August, a heart became available, and he underwent successful transplant surgery. PA Foundation supported Gulf Coast Produce to raise awareness and provide donations for flooding on the Gulf Coast Region. At Produce Alliance, we value our community. Recently our newest partnership with Brighter Bites reflects that passion. Brighter Bites is an organization that provides reliable access to fresh produce, nutrition, education and consistent exposure to recipes. At our 2017 PA PMA Cocktail Reception, Lisa Helfman, co-founder of Brighter Bites, spoke and gave more insight into the value of service in the community. 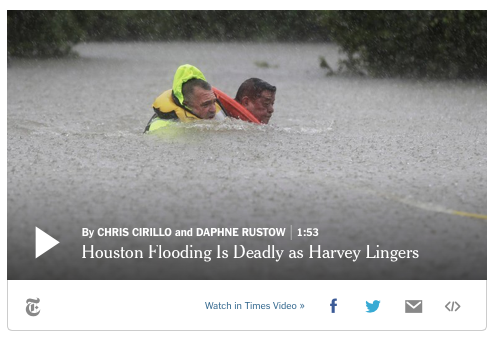 PA is excited about playing an integral part in Brighter Bite's end goal of expanding their network beyond the Texas region.